You will find more than a dozen golf courses within easy driving distance of Pensacola. Each course has its own personality, from the bargain-priced public Osceola Golf Club to the stylish new Lost Key Golf Club on Perdido Key, from the Fairways Group, four locations offering 90 holes of golf, to The Moors, a Scottish-style course which has its own bed and breakfast. The courses link up with accommodations to offer affordable stay-and-play packages all year. The packages offer something for everyone in the family - golfing, sunbathing, shopping and exploring historic attractions. The courses draw top players, amateur and professional alike. The American Amateur Classic, with a field of nearly 400 entrants, is entering its 30th year. 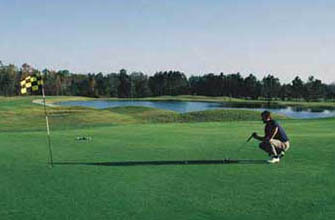 It is played on four of the area's top courses each May. The Pensacola area is also home to one of the top events on the Senior PGA TOUR, the $1.1 million Emerald Coast Classic played at The Moors Golf Club in March. Winners include Raymond Floyd, Lee Trevino, Isao Aoki and Dana Quigley. Open Mon.-Fri., 8:00 a.m.-6:00 p.m.; Sat.-Sun., 9:00 a.m.-1:00 p.m.
Open 7 a.m. - 7 p.m.